JNTUH B.Tech 4-1 (R09,R07,R05) Regular/Supply Results Will Be Release Soon…. 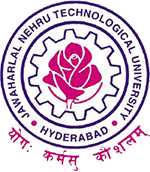 Jntu Hyderabad University Had Conducted the jntuh b.tech 4-1,3-1,2-1 exams in the month of December 2014.The JNTUH Paper Valuation Also Doing in Process.It will be Completes As Early As Possible and Will Release JNTUH B.Tech 4-1 (R09,R07,R05) Regular/Supply Results , 3-1,2-1 regular/supply results will declare soon.according last year expectation is February 1st/2nd week.But this Not official Information,whenever release the jntuh 4-1,3-1,2-1 results we will let you know as early as possible. Note : This Results Date And Info Is Only For Reference Purpose.This is Not Official Information.For Official Check In University.We Are Not Responsible For Any Mistakes.we Will Provide University Official Site Links only.